Manifest books a return trip as it gets renewed for season 2 at NBC. Despite hitting some rating turbulence during season 1, NBC announced on Monday that its top-rated freshman drama 'Manifest' will return for Season 2, although the episode count is yet to be revealed. Co-presidents of Scripted Programming at NBC, Lisa Katz & Tracey Pakosta said, "In just its first season, Manifest has answered many questions about the mystery of Flight 828 and, smartly, asks many more." They continued, "Congratulations to [series creator] Jeff Rake, our producers, cast and crew who have created an incredibly addictive series with compelling characters and complex relationships." Manifest premiered back in September 2018 to 10.4 million total viewers and a 2.2 rating. In fact, it managed to score the best demo number for any scripted series premiere this TV season. Across its 16-episode freshman run, it averaged 6.4 million viewers and a 1.25 rating (in Live+Same Day numbers). Among NBC dramas, the show tied Chicago Med and Fire for second in the demo (well behind This Is Us). It ranked fifth in total audience. Manifest enjoys the second largest total demo gain (up 1.61 rating points) of any TV program in Live+7 DVR playback. Moreover, it boasted the biggest audience increase (rising to 6.3 million). 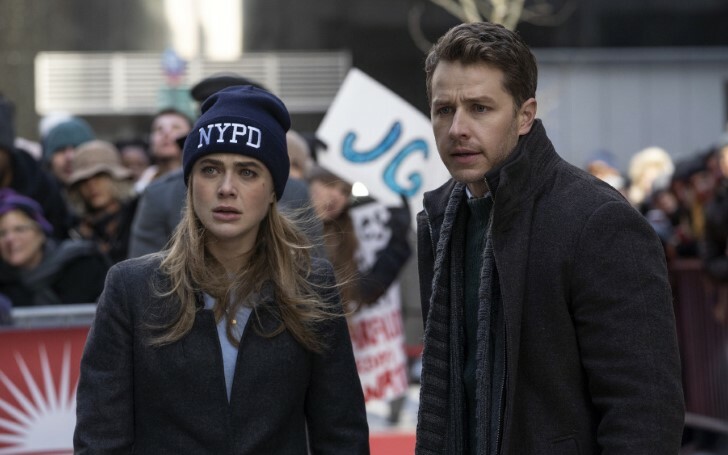 The show stars Josh Dallas (Once Upon a Time) and Melissa Roxburgh (Valor) as Ben and Michaela Stone. The siblings along with other passengers aboard Flight 828 which landed a full five years after they took off. They are observed by a mysterious nemesis known as The Major, all while Ben’s young son Cal and others (including the occasional non-passenger) proceeded to experience "callings." The supernatural thriller's Feb. 18 finale, as well as the overall Season 1, received an average rating of 'B+' from the TVLine readers.